May 21, 2017, did not merely come and go as another throwaway WWE Pay Per View as many have been since the brand split. 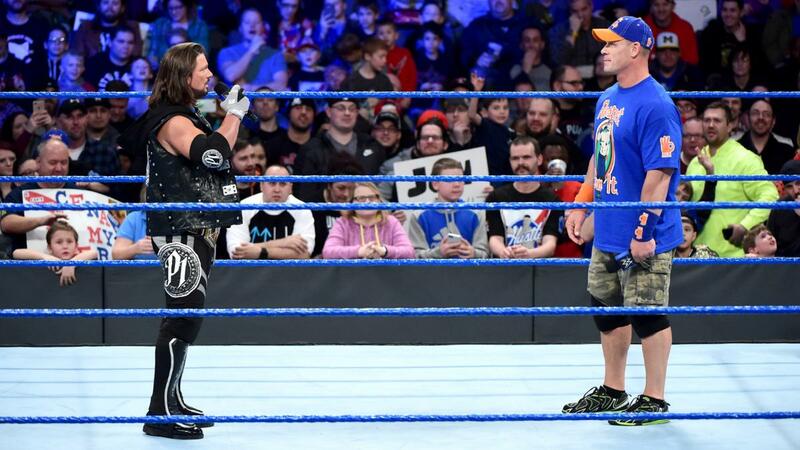 The show itself was solid as it delivered on many of the stories that the SmackDown Live roster has worked diligently in which to get our emotional investment. 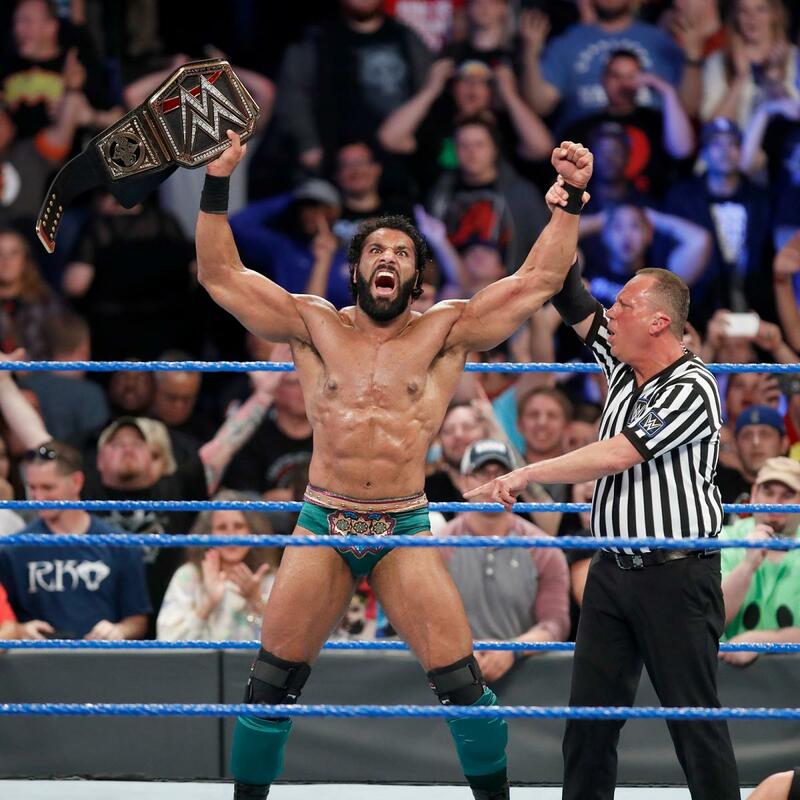 However, the most shocking finale/continuation to a storyline had to be when Jinder Mahal captured the WWE Title from Randy Orton in wonderful heel fashion. The win, as one would expect with wrestling fans, left a mixed bag of emotions at Allstate Arena. There were fans booing because of the heel tactics used to win. There were boos because fans who want different champions other than the “go to” guys in the company didn’t want Jinder. But there were also fans who were pleasantly surprised at the outcome, as well as fans who hit the floor with laughter thinking that WWE just signed SmackDown Live’s death warrant. Personally, I have no qualms with Jinder Mahal being the WWE Champion…the Champion of the company of WWE. Neither do I have a problem with his booking up until this point of him receiving this title. There were a lot of positives about Jinder long before this recent run and I am happy for him that WWE trusts him to carry the ball as the company’s face. However, this raised questions during the May 22, 2017, Perfect Plex segment of Soul N Sports with Mike Knoxxx and the Crew of why WWE hasn’t put this same ball in the hands of an African American Wrestler? Mike went on to describe how many of us black wrestling fans subscribed to many of the notions as to why we never seen a black WWE Champion. Things like their mic skills, their look, or their overall marketability. But when we look at the history of WWE champions, we can point out plenty of champions that have had a weakness in one or all of these areas. So what’s the real reason? Should we believe that the man behind consolidating all of the mainstream wrestling under one roof is a racist? Are Vince McMahon and his immediate staff bastions of white supremacy in sports entertainment? I honestly do not think that is the case and will not speculate such a grossly abhorrent trait in a person without actual evidence to say the contrary. No, I will not use the stereotypes used by wrestling promotions to describe indigenous peoples like the gimmicks done with men like Papa Shango, Kamala, and Koko B. Ware. Because there were and still are strange gimmicks done with wrestlers of all backgrounds that live on Stereotype Street. But we have to acknowledge that the WWE was not at a loss for having star black wrestlers who could have had at least one run as the company champion and not just merely the World Champion. The WWE has failed in using talented wrestlers who had all the tools to be the company guy. For me, the real question is “Why does this matter”? If we look at the data provided by the U.S. Census Bureau, American blacks make up 13.3% of the population. If we adjust for biracial Americans, that number is most likely close to or more than 20% not counting those who may be of Hispanic or Latin descent. This is important to know because like the Presidential election cycle, our vote counts, but it is not THE swinging factor in who wins an election. That is still determined by the racial Caucasian majority. Likewise, we as black Americans have a tremendous amount of buying and spending power, but the truth is that white Americans still have more spending power than we do due to the difference in population. So does the WWE have to cater to what we want as black wrestling fans? No, they don’t. As a business selling the product of sports entertainment, they don’t have to have black wrestlers or entertainers to satiate our view of their company. They can chug right along and still do millions in profit each year because we aren’t necessarily their target demographic. They didn’t have to put the SmackDown Women’s title on Naomi, give Sasha Banks 3 championships in the span of 5 months. Booker T and Mark Henry didn’t have to hold the World Heavyweight Championship (the company title of WCW which actually had more black company champions than WWE). And with that all said, while they did not have to do it, for good men to do nothing is how evil prevails. 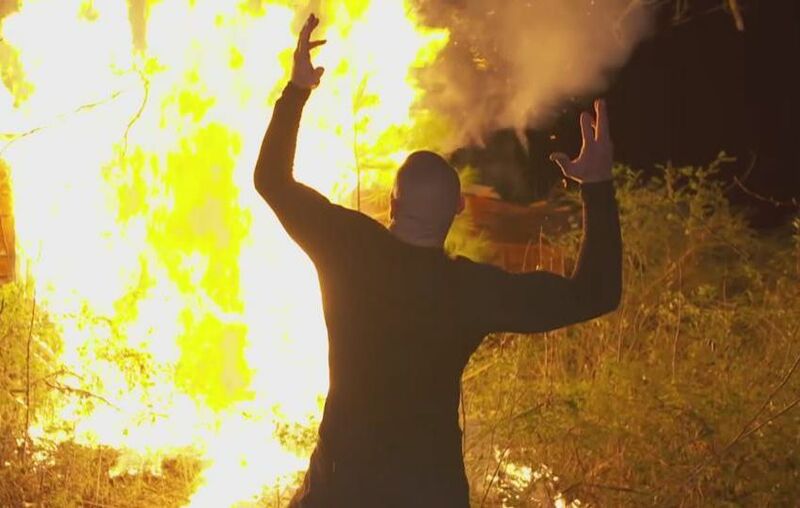 At any point of time during wrestling because, #WrestlingIsStoryline, the WWE upper brass can write Titus O’Neil to start wrecking shop with Apollo Crews. They can capture the Raw tag team titles. Then move into a feud where Titus can take advantage of Brock Lesnar with Apollo’s interference and become Universal Champion. On Smackdown Live, they can have Jason Jordan cut the simplest promo about America and her values and create a program with Jinder Mahal to capture the title at the next major Pay Per View. The WWE has the ability to create these programs out of nowhere due to their history of making last minute changes before RAWs, SmackDowns and even major Pay Per View shows. Thus, it leaves the black wrestling fan wondering if the WWE will eventually have that black champion sooner rather than later given the jobber to champion status of one Jinder Mahal. My thoughts about WWE having or not having a black WWE champion are best laid out in the final moments of May 22, 2017, broadcast of Soul N Sports with Mike Knoxxx and the Crew. I thought it important to establish, “I’m one of those people that I don’t place my value and my worth in a company that never thought I was worth putting value into. If you don’t want to have a black WWE Champion that is on them, it is their choice and they have a right to do that as a private company. However, I think it sends a horrible message to their constituents when they say they are about things like inclusion, and BE A S.T.A.R, and all that stuff; and they say all those nice little things; however, that is all surface level (rhetoric). We know deep down inside that they could care less. Because for the WWE if it doesn’t make dollars then it doesn’t make sense and that’s any good smart business model. ← What Should Baltimore Do With Manny Machado?